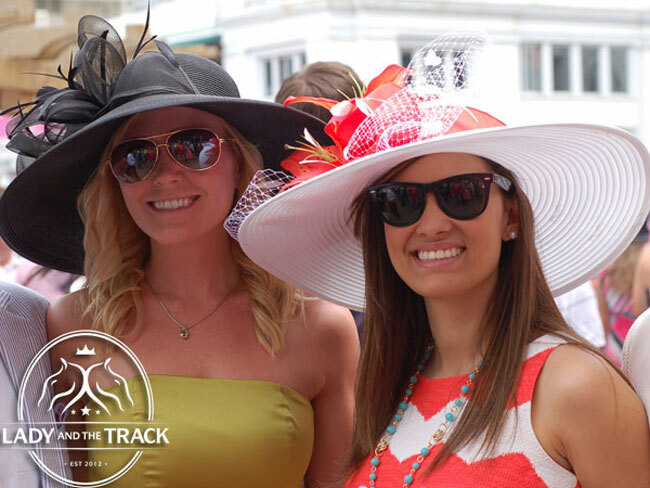 Track Fashion: Top Five Horse Racing Accessories– There are countless options when dressing up for the Kentucky Derby at Churchill Downs, Breeders’ Cup at Santa Anita Park or Pegasus World Cup at Gulfstream Park. Regardless of the many choices, there are five essential accessories one must consider while planning the perfect outfit for a day at the races! When the track heats up, rise to the occasion in the ruby red sunglasses by KOMONO! Fierce and fabulous with gradient lenses and an essence of throwback vivacity, this retro pair sets the ‘barometer’ for warm-weather wear. Fashionable millinery, ball caps, fascinators and fedoras, there is a hat style for everyone! Wearing a hat to the track is essential. Beat the heat while looking sweet in a sandy tan fedora! With a treat in hand and this linen hat on your head, which boasts a brightly striped trim, you’ll be sending out the chillest vibes at the track! Prefer a fancier look? Try a more sophisticated fascinator in black and white to match any style. 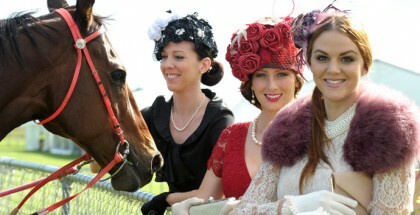 For the more distinguished, the umbrella hat is always on tend at the track! 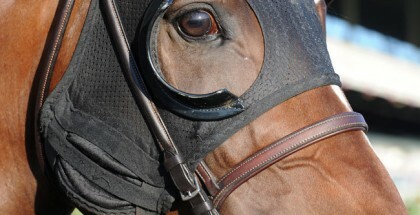 Opera glasses are not only a very useful tool invaluable for horse racing lovers but also a stylish and elegant accessory that will perfectly complement your track attire. 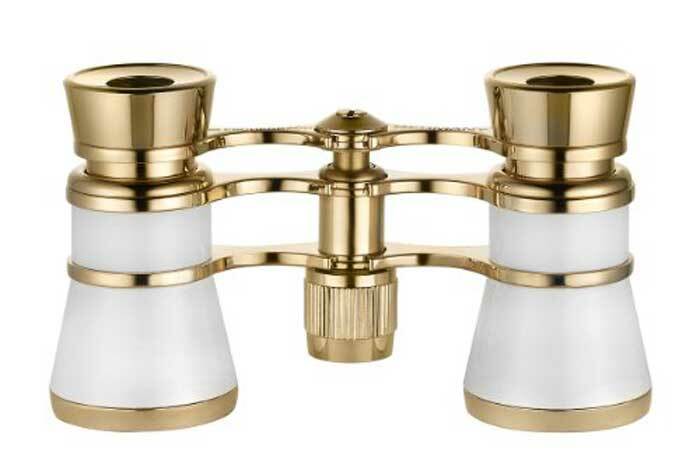 Most opera glasses have a very compact size so you can carry them in small handbag or purse instead of lugging around a huge pair of binoculars. Plush faux-leather lends a refined, ladylike edge to this otherwise slim cross-body handbag from Lady and the Track. Straps remove easily to turn your bag into a clutch. 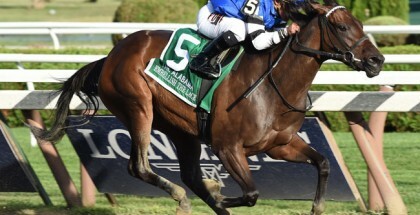 Be sure to pack a pen to handicap the races! If you’re in a hustle to meet with your pals, but don’t want to arrive looking less than pristine, then outfit your ensemble with these wooden earrings! 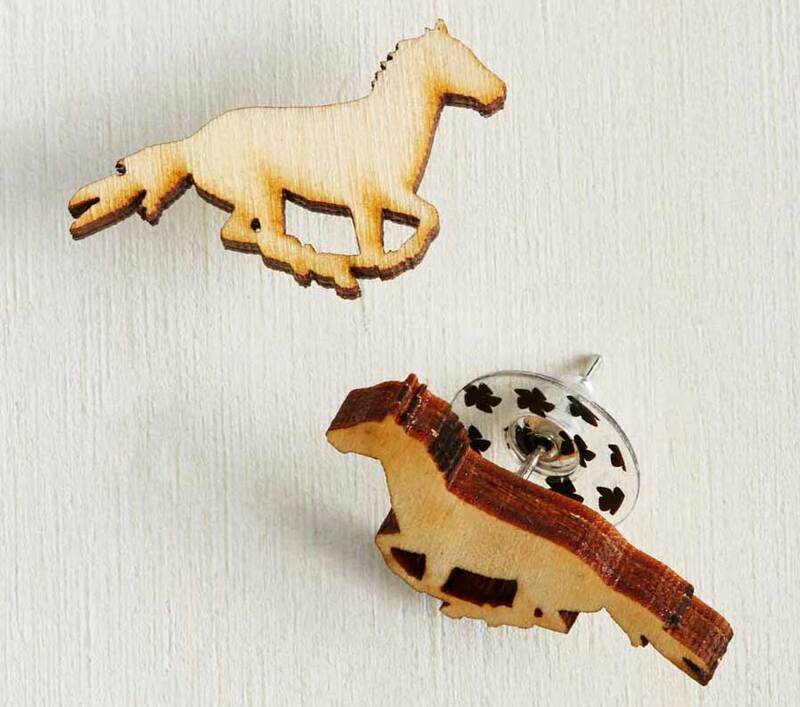 Showcasing galloping horses in a burnished birch wood form, these USA-made studs are the ‘whinnying’ look for a gal on the go! Earn $15 off your ModCloth order over $50 by clicking here and signing up! Advertising Disclosure: Lady and the Track may be compensated in exchange for featured placement of certain sponsored products and services, or your clicking on links posted on this website. Compensation is solely used to pay the cost of web hosting and software to maintain www.LadyandtheTrack.com. Lady and the Track will only feature affiliate links for companies and products we are confident in recommending to our readers.